Posted on February 18, 2019 at 12:46 pm. 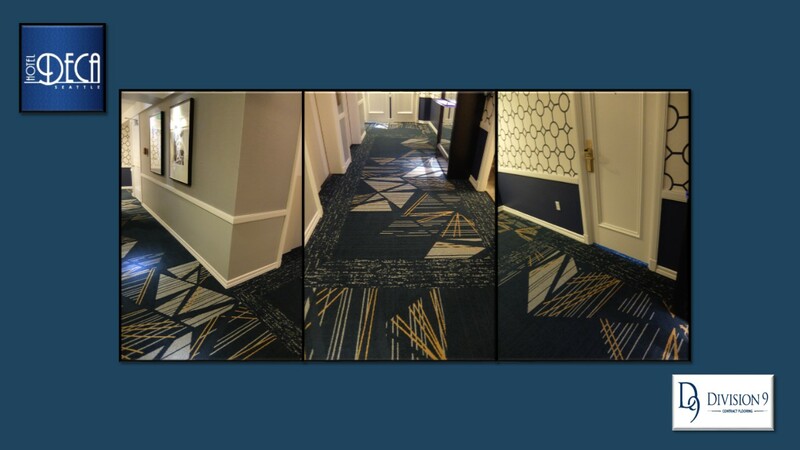 Division 9 Flooring recently completed corridor work on Hotel Deca, a boutique hotel located in Seattle’s University District. The hotel was built in 1930 and was originally named after a beloved Professor at The University of Washington – Edmond Meany. The UW named Meany Hall for The Performing Arts after him as well. The building is considered a remarkable example of the art-deco style. The hotel maintains some of its original architecture and is now called Hotel Deca. “Division 9 was very accommodating in getting the job done. They are always very efficient and I enjoy working with them”.